An H-Diagram to compare two life stages of frogs. Ideal to use in Biological Science lessons when learning about frogs or how animals grow and change. 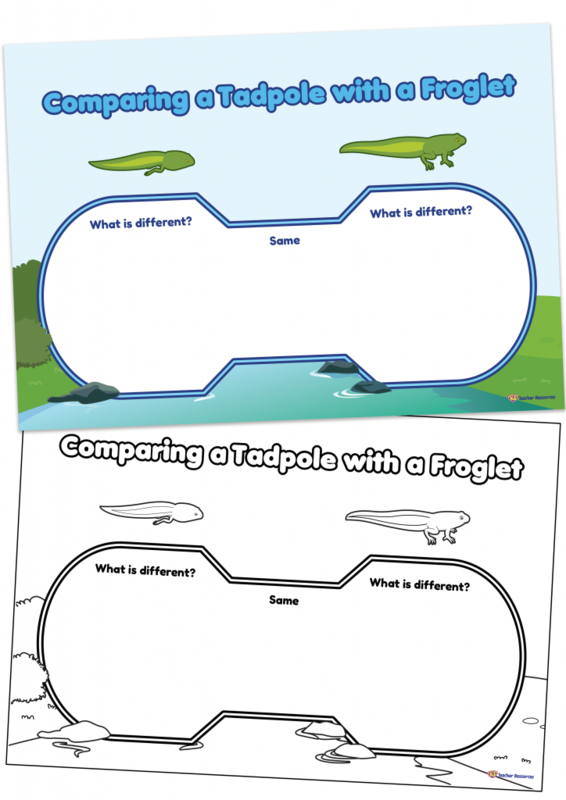 Display the Comparing a Tadpole with a Froglet worksheet to complete together as a class. The H-Diagram functions in the same way as a Venn diagram. As a class, brainstorm and record the similarities and differences between a tadpole and a froglet. They can compare features as well as behaviours. The worksheet could also be completed individually.